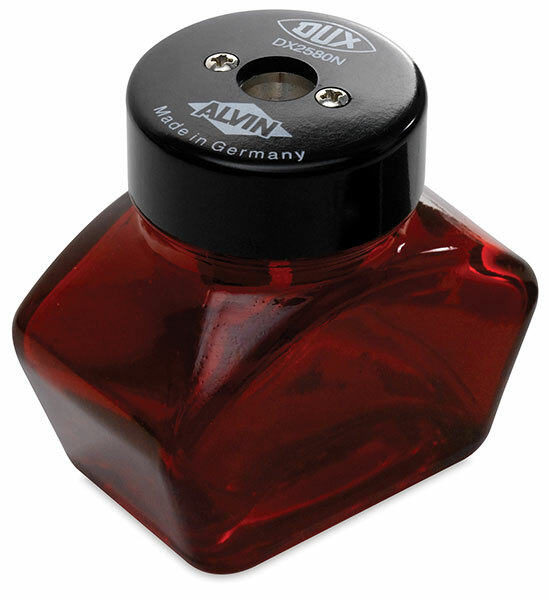 The Alvin Glass Inkwell Sharpener is an all-purpose pencil sharpener with a glass receptacle. This attractive sharpener makes a great addition to your desk and can conveniently be taken on the go. Comes in assorted colors (color will be chosen randomly).